Houston NW Chamber, LiftFund, Goldman Sachs and Rebuild Texas Fund, collaborate to establish the Texas Small Business Rebuild Initiative. HOUSTON, TX —The Houston Northwest Chamber of Commerce is partnering with LiftFund, Goldman Sachs and Rebuild Texas Fund — a collaborative of the Michael and Susan Dell Foundation — to establish the Texas Small Business Rebuild Initiative. This initiative is an effort to help small businesses rebuild that were impacted by Hurricane Harvey and yh Houston NW Chamber has been working with the group from the start to identify the greatest needs within the small business community, and forge a path toward identifying and distributing these loans to affected businesses in order to meet these needs. "In helping Texas small businesses, the Texas Small Business Rebuild Initiative is having a far greater impact in the total recovery of the areas devastated by Harvey. It is rebuilding local communities, one small business at a time," stated Richard Gianni, LiftFund Market President for Houston and Regional President for the East Texas Region. In a press conference Jan. 25, Gov. Greg Abbott joined representatives from LiftFund, Goldman Sachs and the Rebuild Texas Fund to announce a new program which will offer $7 million in aid for small businesses all along the Texas Gulf Coast devastated by Harvey. Through their 10,000 Small Businesses program, Goldman Sachs worked with the Rebuild Texas Fund to offer these substantial funds to LiftFund, allowing these zero percent interest loans to be made to impacted small businesses. The loans will aid businesses in areas hit hardest by Harvey, suffering from having locations, products and livelihoods devastated in the Hurricane. The Houston Northwest Chamber of Commerce was proud to work with LiftFund and others in our community to establish the need for the Texas Small Business Rebuild Initiative and to discuss how these funds could most effectively and efficiently reach the businesses in need. We will continue to work with the Initiative to determine need and distribute these loans to small businesses, ensuring the funds are having the greatest impact possible toward returning these local businesses, and the backbone of our economy, to rebuild even stronger than before. "The details about how damaged businesses can access funds will be forthcoming," explained Chamber president Barbara Thomason, "and we will get the word out as that information comes available." Impacted small business owners along the Texas Gulf Coast can visit www.liftfund.com/hurricane-relief-resources for assistance and to learn about products and support services specifically tied to LiftFund's hurricane relief efforts. Image: Associated Press: Homes and businesses were severely impacted by flooding from Hurricane Harvey. 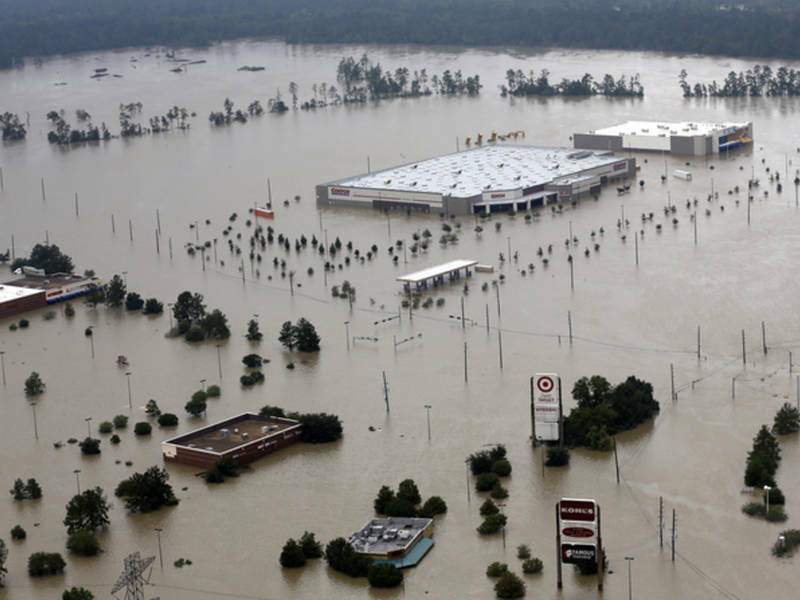 In this AP photo, floodwaters overtook homes and businesses in Humble and Kingwood on Aug. 31.